Year 6 have had the amazing opportunity of working with ' Chance to Shine' learning how to improve their cricket skills. George, our coach, taught us how to improve our performance and learn the basic principles of the game. Each session was challenging, fun and fast-paced. George was hugely impressed with the enthusiasm of our year 6's and the sessions were eagerly anticipated each week. With the cricket World cup this year, 'Chance to Shine' have definitely whet our appetites for this tournament to start. A huge well done to our Sportshall athletics group for coming second in the partnership tournament. They are through to the second round - watch this space! 8 of Silver Birch class and 10 from Cherry class recently took their Bikeability level 3 award. Well done to all of our year 6's as we have never had so many pupils passing level 2 - clearly we are cycling more outside of school. Here is Sycamore class with Day 1 and Day 2 of our whole school active advent calendar. Day 1 is the Go Noodle dance, 'You can't touch this' and day 2 was jogging on the spot for 30 seconds. You can tell by the smiles on their faces that they are enjoying themselves. We held our first inter competition of the year, Friday19th October. Cherry class and Silver birch played four netball matches in total, demonstrating great skill, teamwork and determination. Cherry won two of the matches and the other two matches were a draw. To be fair, Cherry should have won since most of the netball team are in that class! Silver birch are looking forward to their next inter competition, which will be Tag rugby. Watch this space for news! 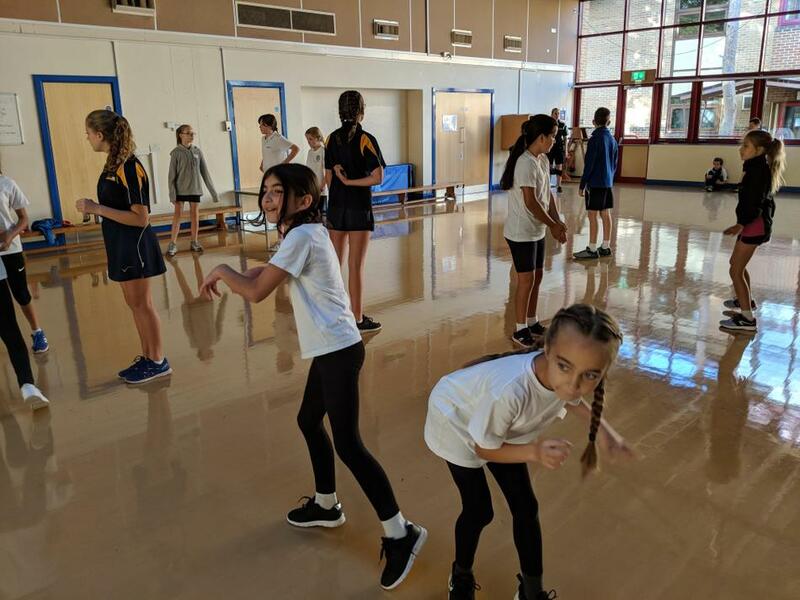 Year 6 had a fantastic P.E morning at Wallingford school. 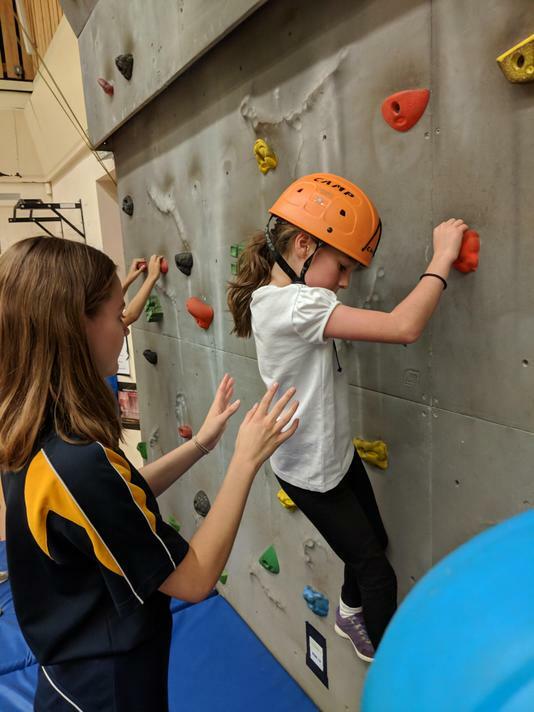 They had the opportunity to learn bouldering techniques on the climbing wall; take part in a range of invasion games; develop trampolining skills and learn the 'Thriller' dance. It was great to work with year 6 from other schools too. We had a hugely successful girls' football tournament at Wallingford school. Our Year 5/6 girls came first and third and our Year 3/4 girls can first! Well done girls for superb play and excellent team spirit. Our year 5/6 took part in the partnership netball tournament at Wallingford school. Our A team played 5 matches and won each match except for 1. They missed out on first place by a goal. 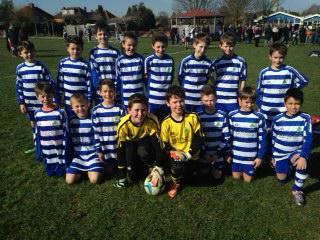 Our B team came fifth in the tournament and were superb, considering it was the first time they have played as a team. The drew two matches and lost three. Well done Lacey for scoring a hat-trick in the final game. A massive well done to our athletics team who recently came first in the partnership Quadkids tournament at Wallingford school. This included events such as 600m run, 75m sprint, vortex howler throw, standing long jump throw and more. The children are through to the next round at St. Birunus school- good luck! What a hugely talented and creative bunch of children we have at Fir Tree! To kick off the World cup fever, Fir Tree children were asked to bake a cake to represent a country taking part. Can you recognise the countries in the picture below? Japan, Germany, Sweden, Mexico and Portugal. A huge well done to Evie Taylor and Maia Bridgeman-Hughes for winning first place for upper and lower school. Money raised will be used to purchase P.E resources. Special thanks to some of our Sportsleaders who stayed behind after school to sell the cakes. Our World cup themed cake sale! Just look at the beaming smiles of our year 4 netballers in the photo below! We are not surprised after they came second in the year 3/4 netball tournament yesterday at Wallingford school. Mrs Muller was impressed with their team spirit- well done year 4! We entered our partnership swimming gala in January held at the Oratory pool. A huge congratulations to our team as their team spirit was excellent. Our boys came third overall and our girls came second. This means that the girls have qualified for the next round in Henley. Thank you to our lovely parents who made such eye-catching banners, demonstrating their support for the team. Good luck to the Fir Tree Fins in the next round. In anticipation of all the mince pies we might eat over the festive period, Year 6 took part in a ‘Jingle Jog’- a 3k run/ walk around the school field. We calculated that 3K was 1.8 miles and 7.2 laps of our field. In freezing conditions, with plenty of festive cheer, Year 6 had a brilliant run chasing Santa and the naughty elf around the track- well done Year 6 for great festive spirit! Here at Fir Tree, our aim for PE is to promote a love of sport and encourage life-long participation. 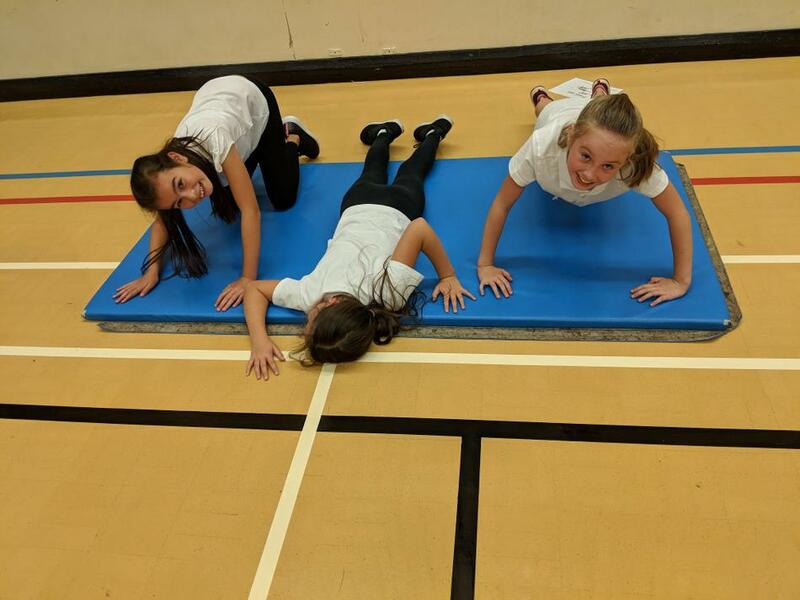 Our PE curriculum and provision aims to develop children's competence and confidence by engaging them in a range of physical activities which can become a central part of their lives; both in and out of school. Within their PE lessons, students develop a wide range of skills and the ability to apply them in competitive game situations. They reflect on their own and other's performances and find ways to improve them and learn the value of healthy, active lifestyles. 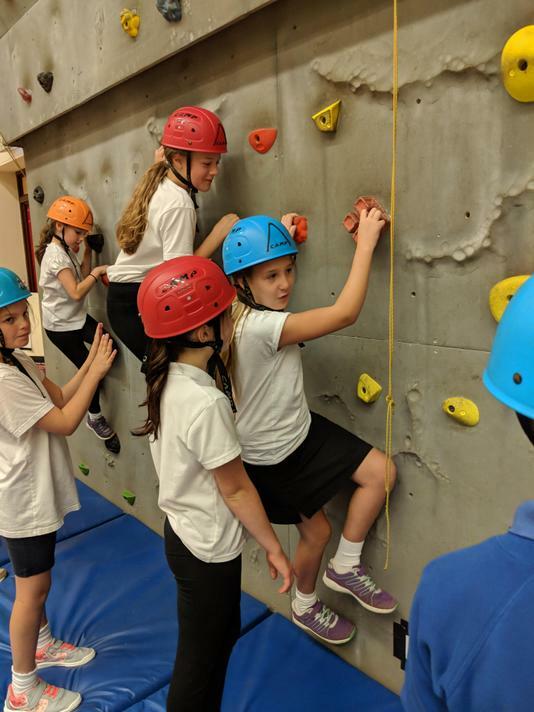 At Fir Tree, we strongly believe that PE helps pupils to develop personally and socially by working as individuals, in groups and in teams; developing concepts of fairness and of personal and social responsibility. They take on different roles and responsibilities, including leadership, coaching and officiating. During their time at Fir Tree, our children follow a varied programme which includes opportunities to represent the school competitively at various sports, including: football, hockey, tag rugby, netball, cricket, swimming and athletics. 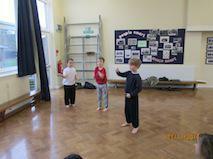 Ash Class have been enjoying Dance lessons with the Sports Leaders from Wallingford School. 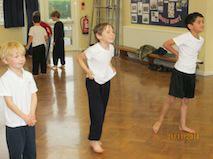 We have learned to choreograph dance routines and enjoyed moving to the music. 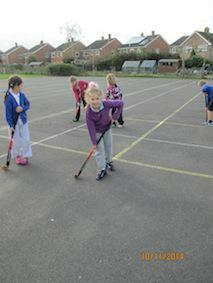 We have also been learning hockey with Mr Gair. 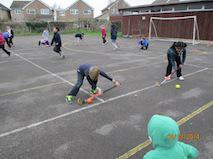 We started by holding the hockey stick correctly and progressed to stopping the ball and controlling it along a line. Fir Tree School would like to say a big thank you to Mark Brett of Haynes Car Care Centre who helped fund the new football kit for the school. Speaking to the children and hearing some of their responses about giving a sense of belonging and pride to represent the school make all the hard work and effort to participate in competitions, worth it.